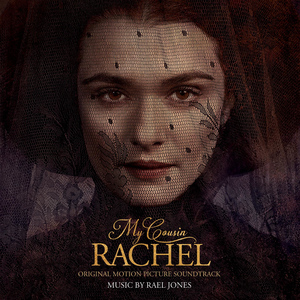 Sony Classical proudly announces the release of My Cousin Rachel (Original Motion Picture Soundtrack), featuring music by Rael Jones. The soundtrack will be available worldwide on June 2nd, 2017. The mysterious drama will be in cinemas on June 9th, 2017. A dark romance, MY COUSIN RACHEL tells the story of a young Englishman who plots revenge against his mysterious, beautiful cousin, believing that she murdered his guardian. But his feelings become complicated as he finds himself falling under the beguiling spell of her charms. Rael Jones is a Composer and Multi-Instrumentalist, based in London. Sony Classical previously released his sweeping orchestral score for the Weinstein Company's feature "Suite Française", starring Michelle Williams, Kristen Scott Thomas and Matthias Schoenaerts. He is currently scoring Hulu & ITVs 8 part series "Harlots", set in the 18th Century brothels of London, and written, directed and produced entirely by women.